I magically turn any invitation into a giftable celebration keepsake. How do I do it? Read on. You receive an invitation in the mail to a celebration - a Bar/Bat Mitvah, a wedding, a milestone birthday or anniversary, a graduation - you get the picture. You give the invitation to me. in a unique and unforgettable gift. You give the invitation back as a gift. They get something to appreciate now and cherish forever. You get the "OMG best gift ever" thank you note. You are admired for your originality and thoughtfulness. You feel like Beyoncé because you made them feel special! That's a win-win-win, yes? Yes! Whether you are hosting your own celebration or are invited to share in someone else's occasion, a celebration keepsake is one of the best gifts you can give. It's a gift that they will love that connects them to their celebration, and to you, forever. It's a gift you know will never be bashed, stashed, or trashed. People don’t remember who gave them a $36 check or a gift certificate to Barnes and Noble or their fancy coffee maker. 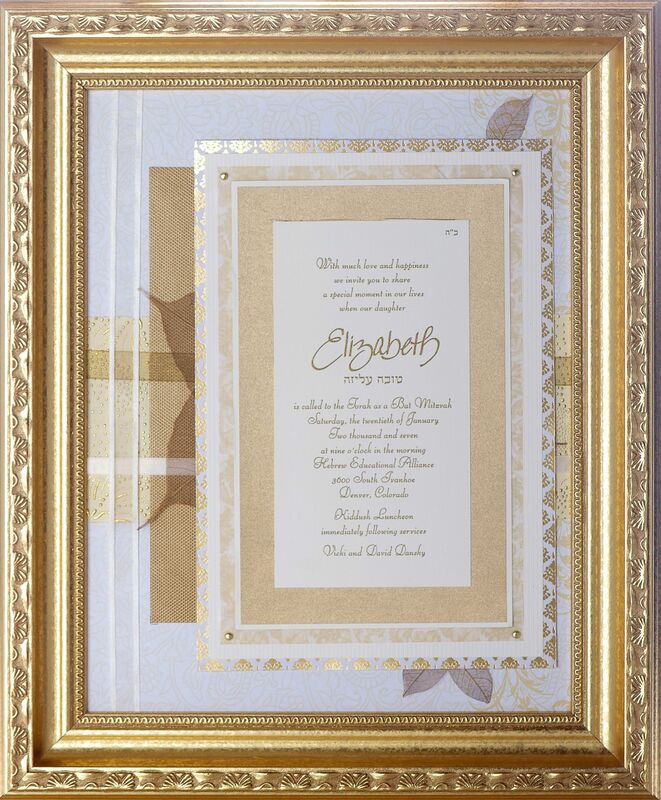 But everyone remembers who gave them the celebration keepsake that keeps them connected to the joyful emotions of their ceremonies and celebrations and reminds them of how special they are. Be unforgettable. On a scale of 1-10, I give Carol a 15! I have used Carol Colman's services twice now, each time I am highly satisfied with the products. On a scale of 1-10, I give her a 15. The first time I used her service, it was for a wedding invitation for a close friend of mine. The theme of the wedding was wine and vineyard. 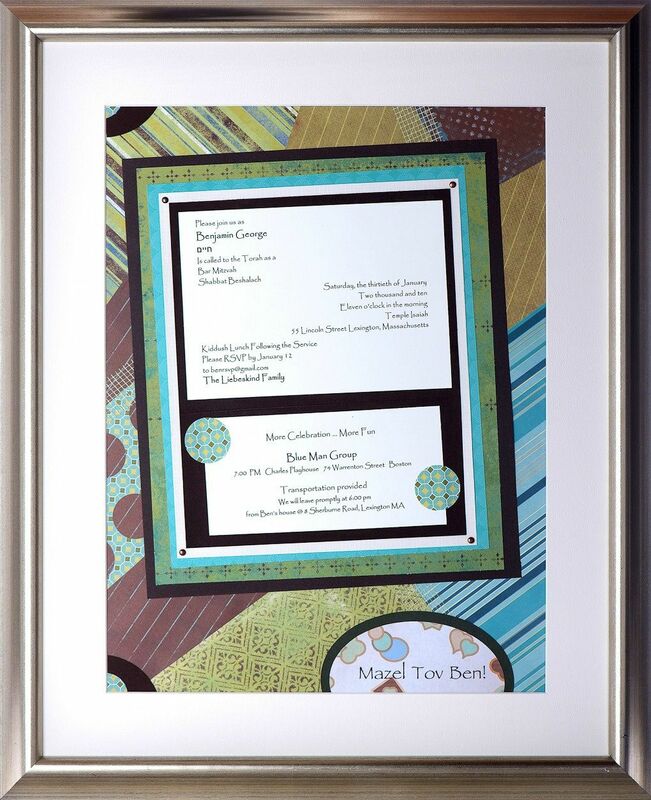 With her artistic skills, Carol brought out beautiful aspects of the wedding invitation and blended all components of the wedding theme into the design. The wedding couple loved my present that Carol created! The second time I used Carol's service was also for a wedding invitation for another close friend of mine. The wedding invitation had a Chinese theme with the double luck symbol and a design created by the wedding couple. Again, Carol expressed her creativity in this piece of art. The keepsake was lavishly cultured and gracefully presented. It was another hit! Not only was Carol creative in her design, she was very pleasant to work with. I was closely involved in the designs of the two keepsakes to bring out the personalities of the wedding couples in the design. The combination of beautiful keepsakes and excellent service makes Carol Colman Creations the best on my list. I would use Carol's services again and again and again! I have two daughters who both display their Carol Colman Bat Mitzvah invitation collages as the centerpiece of art in their room. My older daughter received one from two families who got together and gave it as a joint gift. I’m not kidding when I say that we had 150 people at the Bat Mitzvah, and that is literally the only gift I can remember her getting, and who gave to her. 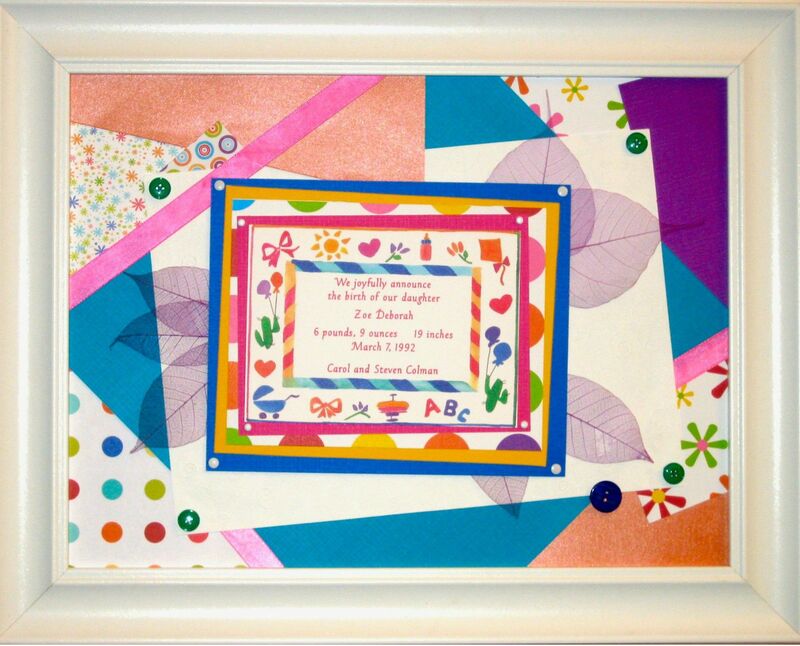 I was so impressed with my older daughter’s collage that when my younger daughter became Bat Mitzvah, I urged her two aunts to get together and give a Carol Colman keepsake as her gift. The quality of both pieces is unique, professional, and gorgeous. It is a way to immortalize the beauty of the occasion in a lasting piece of art, instead of saving an invitation in a cardboard box in the attic. If you are looking for a unique gift to give, or if someone asks you what your child might like as a gift, a gift from Carol Colman Creations is truly the best answer!! "The most meaningful gift I received...I will cherish it forever!" 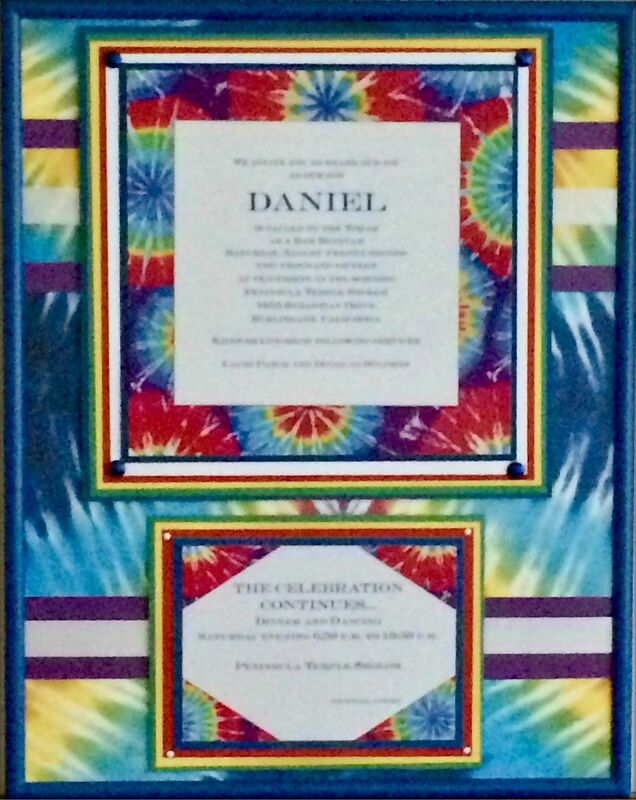 When my son was reviewing his Bar Mitzvah gifts he told us 'the collage of my invitation is the most meaningful gift I received. It is so personal and special. I will cherish it forever!' My husband and I thought the framed keepsake was beautiful and special, but for a 13-year old boy to choose this as his favorite gift over money, gift cards and sports equipment really says a lot. Thank you, Carol Colman, for creating such a wonderful, heart-touching gift! Even the party planner went wild! 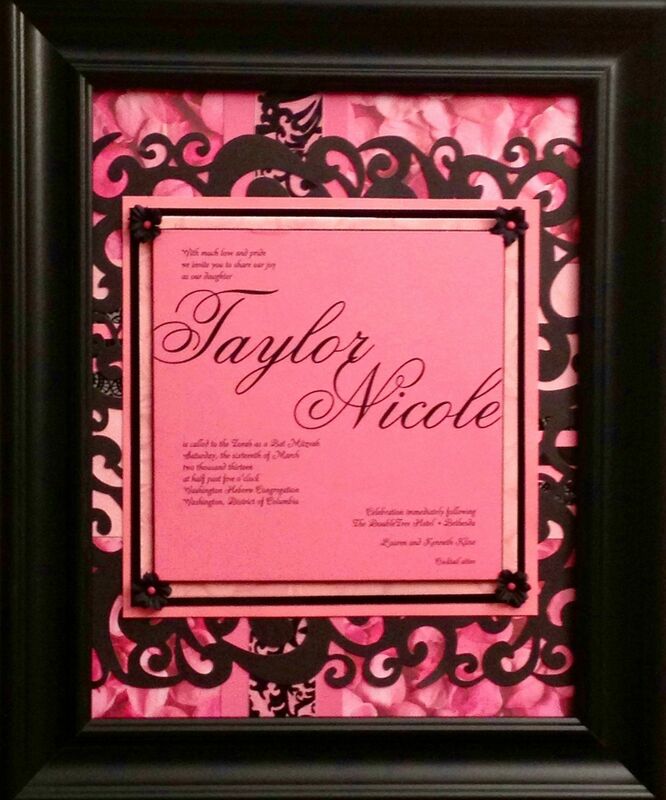 My family and I went wild over the framed invitation – (and so did my party planner!). It’s gorgeous.What a perfect keepsake! Carol Colman Creations, you’re the best! The keepsake we received was by far my daughter's favorite gift! Her mouth dropped when she opened it. I really like how you used the back of the invite, the stamp, the flap etc. It is the best memory of her perfect Bat Mitzvah day! We highly recommend Carol Colman Creations. 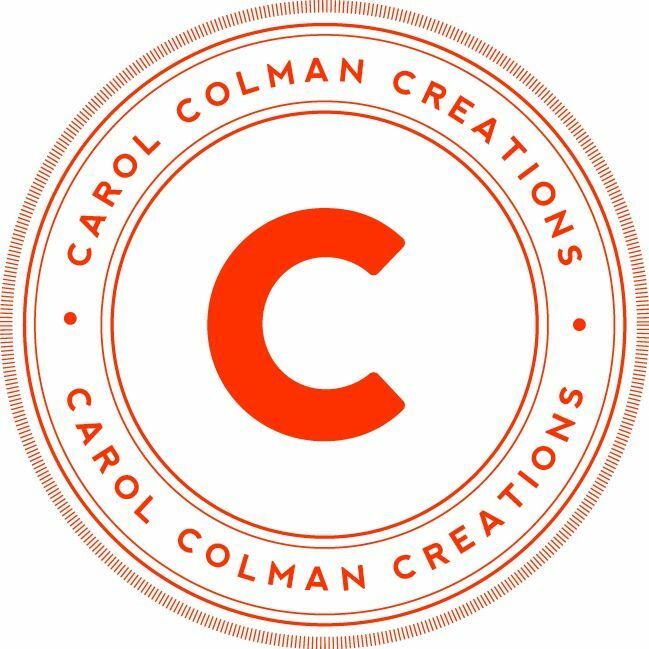 Carol Colman Creations is my go-to gift when I want to give something unique and meaningful that I know will be treasured for a lifetime! Carol captures that special event in her artwork and is an absolute joy to work with. 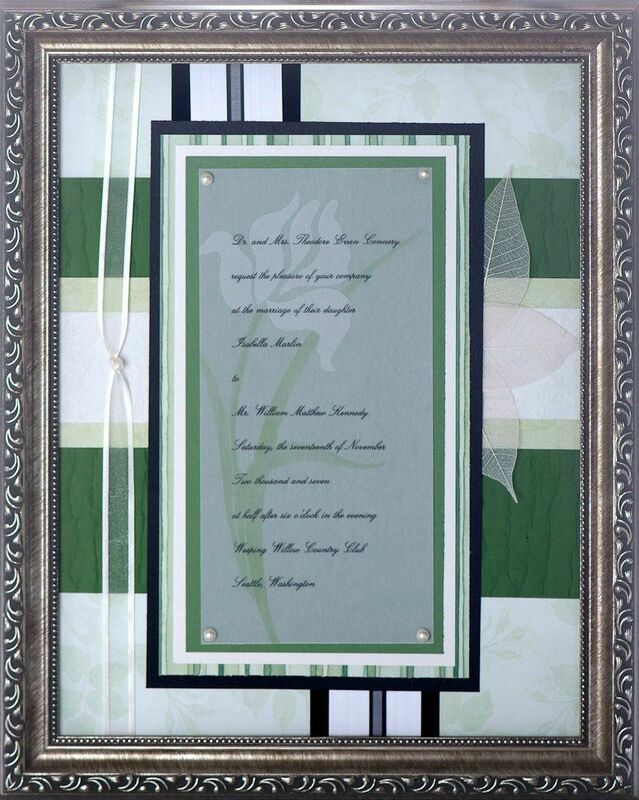 Carol created a spectacular work of art for my mother’s wedding and it’s a cherished keepsake. Carol also made a celebration keepsake for my daughter’s Bat Mitzvah that is absolutely PERFECT. My daughter loves, loves, loves it (me too!). It is hanging in her room already and it’s the first thing she sees when she walks in. I gave the collage to my niece and her husband for their first wedding anniversary and they didn't just like it - they loved loved LOVED it. Everyone who saw it loved it. There was such an elegance about it. No one had seen anything like it. It's the perfect gift - great for when you don[t know what to give someone. And it was done early, which was great. I'll be calling Carol to create another fabulous keepsake next time I get an invitation. Hosting a ceremony or celebration? 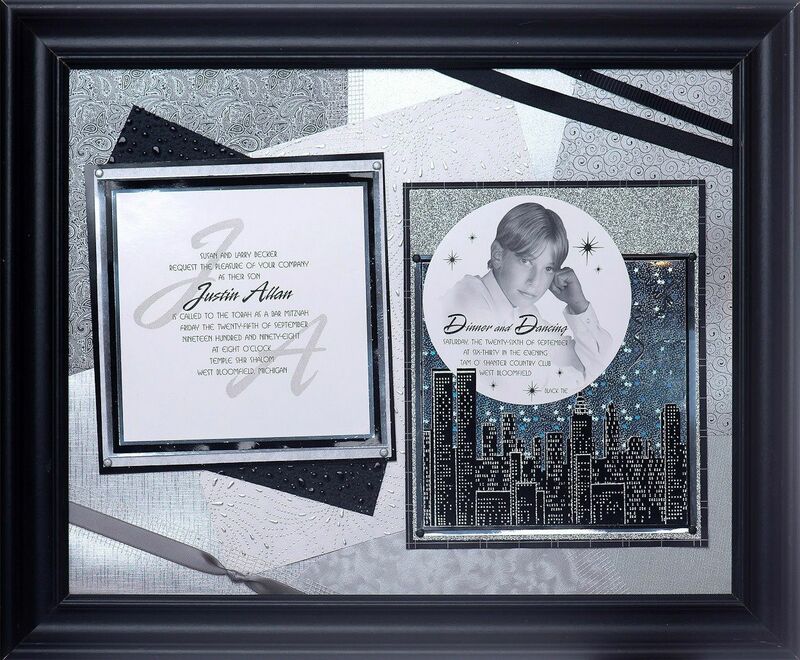 No matter what the occasion - a Bar Mitzvah or Bat Mitzvah; a wedding, milestone anniversary, or birthday - a great event begin with a great invitation. A great invitation captures the personality of those being celebrated and reflects the spirit of the occasion they are celebrating. It has an emotional backstory, which should be told. Shouldn't something so meaningful be framed and on display where you can enjoy it every day? Invited to someone else's celebration? Maybe you have an automatic response when you're invited to an event - you write a check, or choose something from a registry. But what if you want your gift to have a lasting impact? To stand out and be admired for originality and thoughtfulness? Perhaps it's time to rethink your choices. "You have days to remember. I want to help you remember the joy of those days." 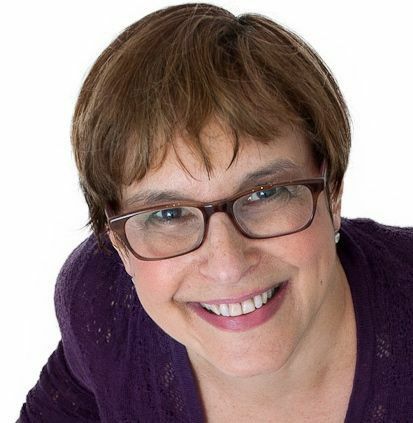 What sets Carol apart from other keepsake creators and invitation preservers is her unusual background: training in bringing her distinctive artistic vision to life as well as in designing invitations. 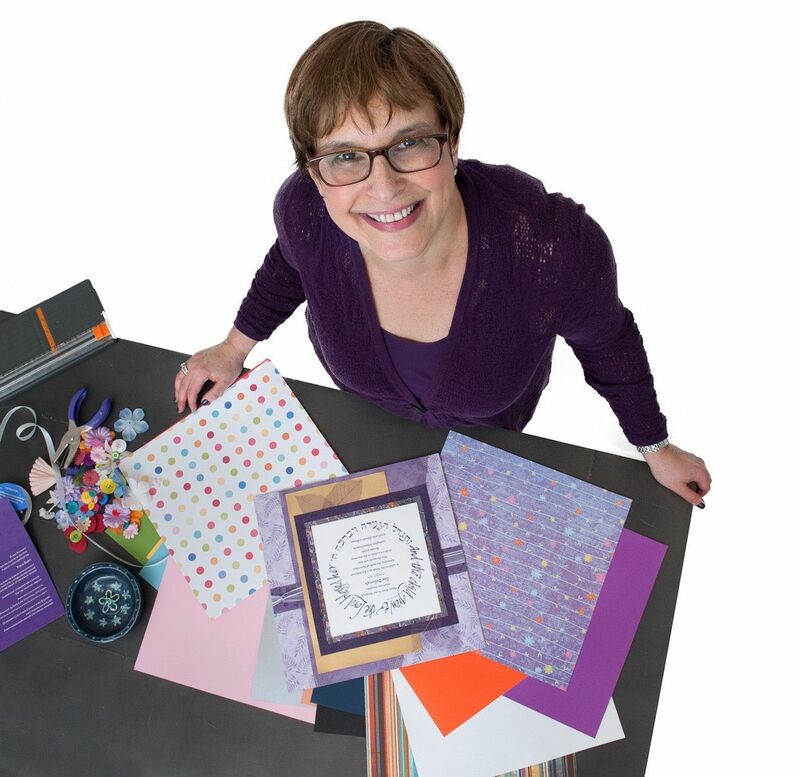 As a Bar Mitzvah and Bat MItzvah invitation retailer, Carol helped hundreds of clients design their dream invitations. She learned to read the "emotional backstory" of every invitation. 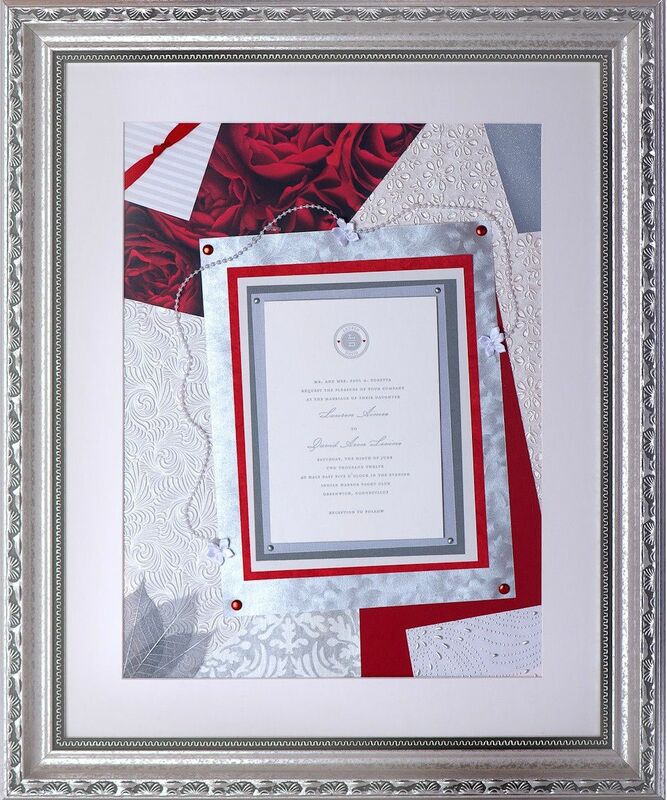 Carol also has hands-on experience and training in the tools and archival techniques of framing artwork. Since 2007, Carol’s creations have delighted clients in more than 25 states and three countries. 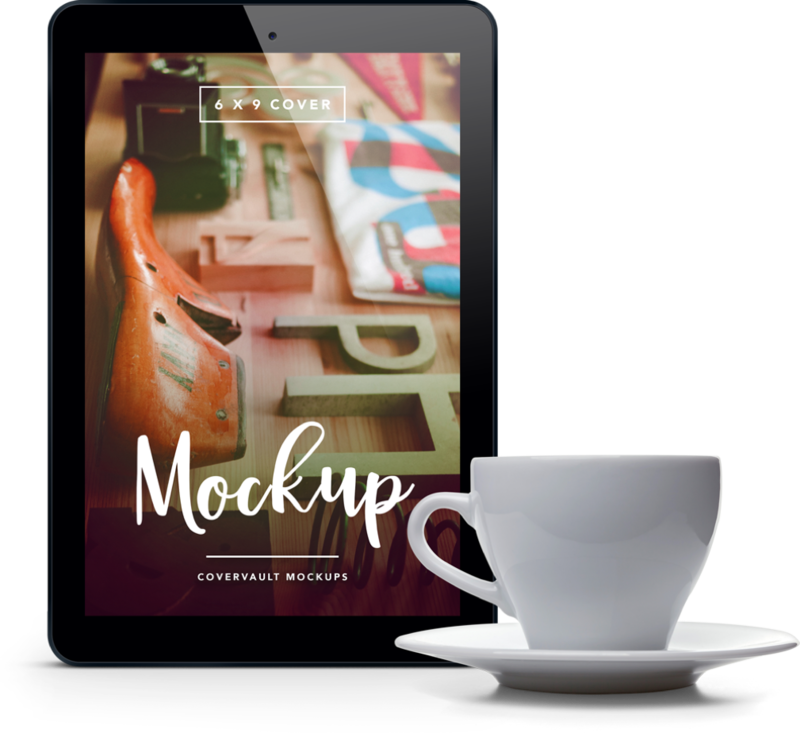 Right now, Carol is knee-deep in art supplies, creating breathtakingly beautiful celebration keepsakes that get the "OMG it's gorgeous" reaction from givers and receivers. She and her husband Steven are debating whether to get a shelter dog or a purebred puppy as they adjust to their daughter Zoe's move back to Boston for graduate school at the T.H. Chan Harvard School of Public Health. I can't wait to make the magic happen just for you!